We offer a wide range of metal customization, machining, welding, and fabrication techniques that bring your design to reality. Our production processes are expandable and flexible with modern equipment and experienced staff. JET offers customized assembly services. With 70,000+ square foot capacity, JET has the capability to fabricate, machine, and assemble all within a quick timeframe. JET provides a variety of machining options for weldments and components. We are capable of machining both large and small parts. With a large range of equipment, JET can provide one-stop services for your specific requirements, lowering cost of production and down time. 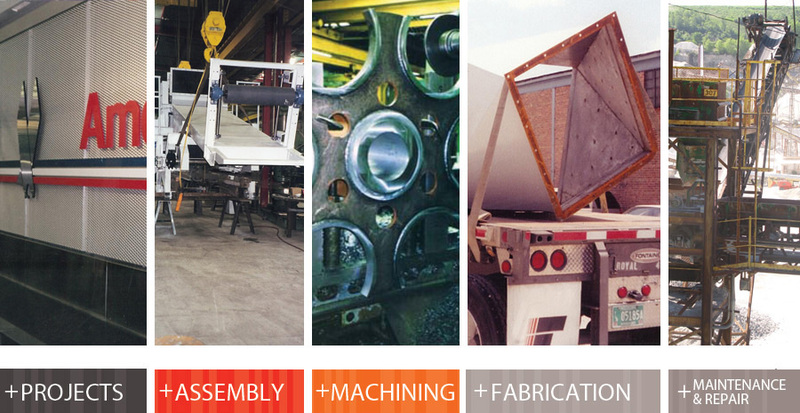 The Fab shop specializes in structural steel, plate work, ornamental + miscellaneous metal, as well as sheet metal fabrication. Material coating is available as per specification requirements, including priming, painting, galvanizing, etc. Our experienced labor team is available for maintenance, repair work, and onsite welding needs.